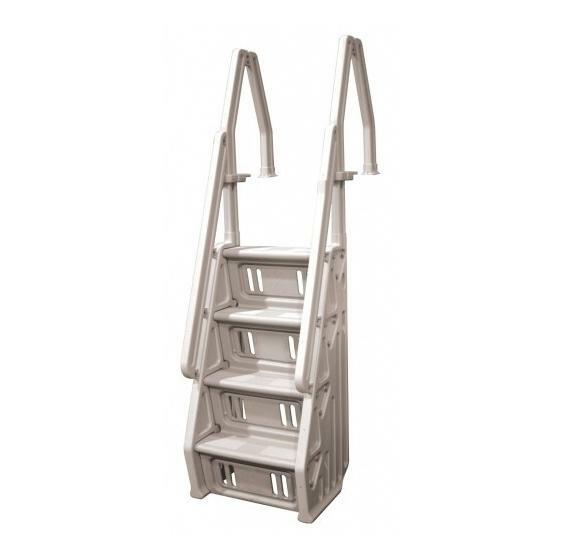 This in-pool step features full 7-1/2" deep non-skid foot treads , yet only consumes a mere 22" of swimming space like a ladder. 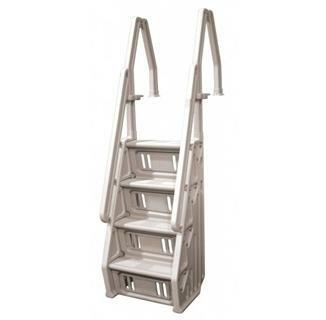 The step is adjustable to fit above-ground pools from 48" to 60" in depth. Our step is super strong and is made of maintenance-free resin. It will accommodate up to a 300 lb. swimmer. Double extended handrails allow even small children to easily exit the pool. Side wings protect kids from becoming entrapped under the step, preventing accidental drowning. These side wings are also slotted for better water flow and chemical distribution throughout the pool. 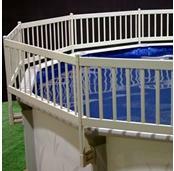 Two sets of deck flanges are included, providing greater stability in the pool. The smoothly rounded base allows step to be stable and not damage the pool liner. 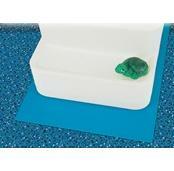 A step pad can be used for additional liner protection (sold separately). 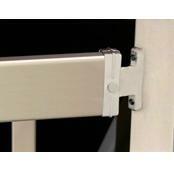 The step is easy to assemble with its unique snap-lock construction.